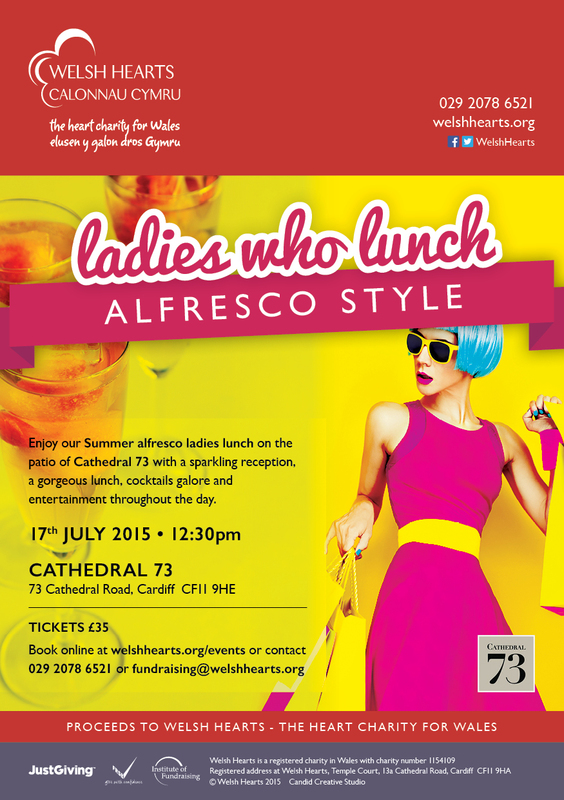 Local charity Welsh Hearts have teamed up with one of Cardiff’s most popular places to be, Cathedral 73 to offer you a summer “alfresco” ladies lunch on Friday 17th July. You can dine on the patio of Cathedral 73 and enjoy a sparkling reception, gorgeous lunch and cocktails galore. Entertainment is also provided throughout the day. This is a great event for coming together with friends and meeting new people and supporting the work carried out by Welsh Hearts.